Whether you're willing to admit it or not, ordering a pizza is not a matter of if, but when. If you're not about to place an order for you favorite pie today, then chances are you will treat yourself to a sacred circle of cheese, sauce, and dough sometime soon. The only if you'll have to worry about is if you'll be able to save money with discounts and deals from your favorite pizza purveyors. Thankfully, it's easier to save a few bucks on pizza than you'd think. America's most popular pizza chains -- Domino's, Pizza Hut, Papa John's, Little Caesars, and more -- are constantly unleashing coupons, combo deals, and other promotions, so it would behoove you to check around for deals before you pull the trigger on, say, a large pepperoni pie and breadsticks when there's a chance you could get the breadsticks for free. And you don't want to be the person who pays full price for a pizza while everyone else is paying less for the same exact order. With that in mind, we've rounded up all of the best pizza deals from the biggest chains that are available nationwide right now. We'll be updating this story all the time with the latest pizza steals, including ongoing promotions and special one-day giveaways. So, bookmark this page and check back whenever you're getting ready to hit "place order" on your next pizza. 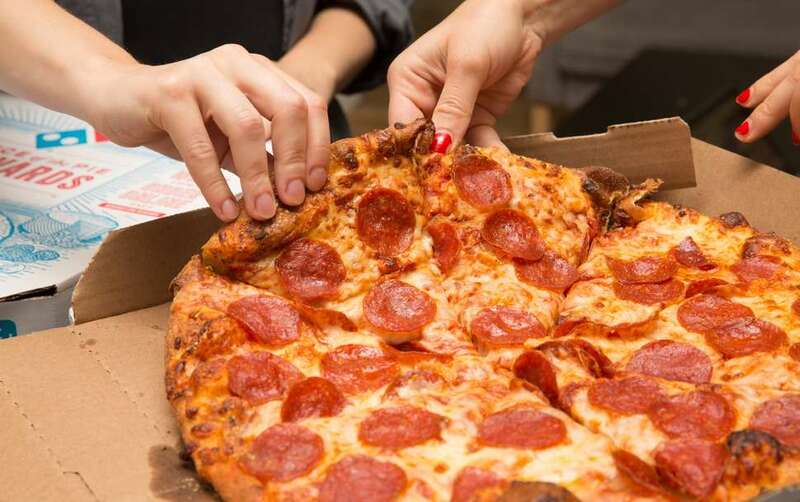 The deal: The chain's popular "Mix & Match" offer gets you any two or more pizzas, pastas, bread bites, boneless chicken wings, and more for $5.99 each. The deal: If you choose the "Perfect Combo" deal, you'll get two medium 1-topping pizzas, a 16-piece order of parmesan bread bites, an 8-piece order of cinnamon twists, and a 2 liter of Coke for $19.99. The deal: If you're able to swing in to your local Domino's for a carryout order, you can get your hands on large 2-topping pizzas for $5.99 each. To be clear, this deal isn't available for delivery orders. Note: Domino's also provides a tool to search for local coupons that are exclusive to certain areas, so you may want to take a look there, too. The deal: If you order online, you can get large, 2-topping pizzas for $7.99 each. The deal: Get two medium, 2-topping pizzas for $5.99 each. The deal: Now that Pizza Hut is the official pizza sponsor of the NFL, the chain has launched a free membership called Pizza Hut Game Plan, which gets you perks like email reminders when your favorite team is playing, the chance to win prizes every week, and most importantly, special pizza deals on game day. You'll also earn two points for every dollar you spend and 150 gets you a free pizza. The deal: In celebration of National Pepperoni Pizza Day on Thursday, September 20, Pizza Hut will sell you a medium pepperoni pizza for just $1 when you buy any large menu-priced pizza online. Use the promo code PEPPERONI2018 and you'll be all set. Note: Pizza Hut also offers local coupons that are exclusive to certain areas and stores. Just enter your address or zip code here to see the full list of deals. The deal: If you're in the mood for dessert with your pizza, you can get an extra-large 1-topping pizza and an order of stuffed donut holes for $15. The deal: Need more than just a cheese pizza? Well, now you can score a large specialty pizza and a large 2-topping pizza for $22. The deal: Use the code "PAPATRACK" and you'll get 25% off regular-price pizzas, when you order online. Note: In addition to nationwide offers, Papa John's also has several local deals that you can only see if you enter your delivery/carryout address here. In fact, it looks like this is where the majority of the chain's deals are located. 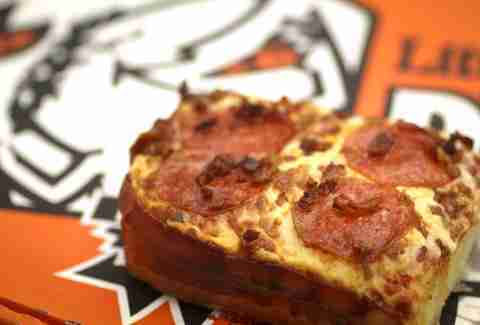 The deal: Pizza and meat lovers can get the chain's new, limited-edition 5 Meat Feast pizza -- topped with pepperoni, bacon, sausage, beef, and ham -- for $9. The deal: Sign up for Papa Murphy's email offers and you'll receive a code for 25% off your order of $20 or more. The deal: In celebration of National Cheese Pizza Day, participating locations of the pizza buffet chain are offering large 1-topping pizzas to go for $5. All you have to do is place your order through the MyCicis mobile app. The deal: Get a medium, 2-topping pizza and an order of Howie Bread for $7.99 when you order for carryout. Use the code HHP1 at checkout. The deal: You can add an order of 3 Cheeser Howie Bread for $2 when you create an order totaling at least $12 online. Promo code: 2CHEEZY. Know of a great national pizza chain deal that we missed? Send the info (a link would be helpful, too) to news@thrillist.com with "Pizza Chain Deals" in the subject line and we'll look into adding it. Same goes for deals that seem to no longer work.